In their first century of uninterrupted publication, newspapers reached an all-embracing readership: male and female, noble and artisan, in both town and country. Such was its impact that this seemingly ephemeral product became a collector’s object. In Reading newspapers Uriel Heyd examines this vibrant new print medium and investigates its political, social and cultural implications. 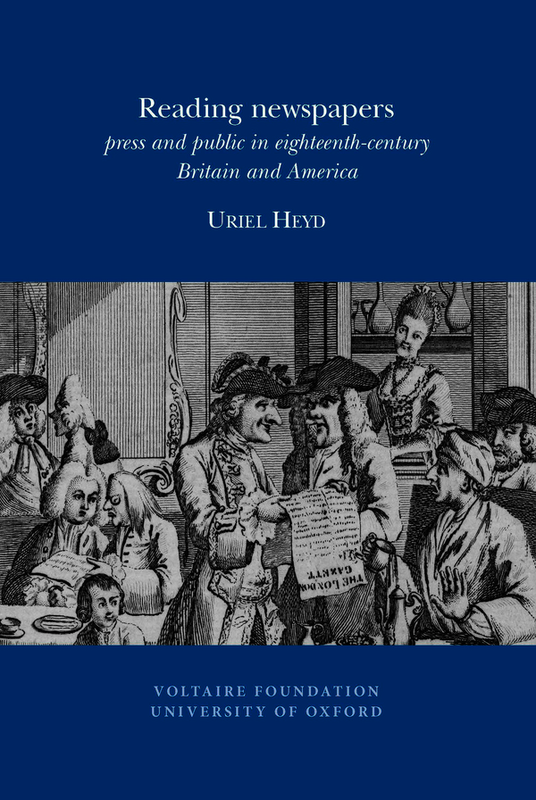 Adopting a comparative approach, the author traces the culture of newspaper reading in Britain and America. Previously unexplored sources such as newspaper indexes and introductions, plays, auction catalogues and a unique newspaper collection assembled and annotated by a Bostonian shopkeeper, provide invaluable access to perceptions of the press, reading practices, and the ever-changing experience of consumers. While newspapers supplied news of immediacy and relevance, their effect transcended the here and now, influencing readers’ perceptions of the age in which they lived and helping to shape historical memory. But the newly found power of this media also gave rise to a certain fear of its ability to exploit or manipulate public opinion. Perceived as vehicles of enlightenment, but also viewed with suspicion, the legacy of eighteenth-century newspapers is still felt today. Heyd’s combination of old and new techniques – comparative history, geographical specificity, and the study of historical readers – enables a double-barrelled assault on unchallenged twenty-first-century assumptions, demonstrating conclusively that it did not have to be this way.